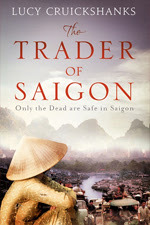 • Review books: About a Girl by Lindsey Kelk, Brooklyn Girls: Pia by Gemma Burgess, The Trader of Saigon by Lucy Cruickshanks. 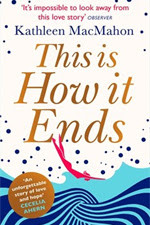 • Competition wins: Revenge Wears Prada by Lauren Weisberger, This is How it Ends by Kathleen MacMahon. I've already finished About a Girl which I absolutely adored (review up soon), Lindsey's books are so much fun! And I'm currently reading Revenge wears Prada (which I'm very much enjoying - I love reading about these characters again after so many years) and Brooklyn Girls (which is unfortunately very disappointing so far, but since I've read great things about this novel on other blogs I'm hoping it will pick up). Have you guys read any of the books showcased above yet? If so, did you enjoy them? 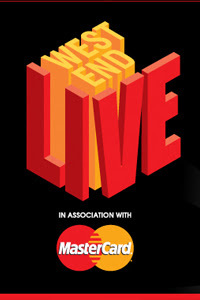 Now in its ninth year, West End Live is a free two-day festival in London which showcases many of the fantastic musicals that currently headline the stages in the capitol, as well as some up and coming and lesser known shows. As an avid theatre-goer and a big fan of musical theatre in particular it is a two-day heaven on earth. Despite having seen most shows currently on in the West End, I always love seeing my favourites back on stage and each year I'm pleasantly surprised by some new additions or shows I thought were not of interest to me that manage to persuade my opinion in their favour with their fantastic showcase. Highlights this year for me included Top Hat's old-school tapdance number, the emotional punch of Les Misérables, crowd-pleasers Jersey Boys, new musical From Here to Eternity and the always rockin' We Will Rock You. I went a bit trigger happy during the weekend and a small selection of my photos (and a handful of videos) can be found with my more elaborate review below the cut. My edition: Paperback, published on 9 May 2013 by Harper, 388 pages. Katie's carefully structured world is shattered by the news that her headstrong younger sister, Mia, has been found dead in Bali – and the police claim it was suicide. With only the entries of Mia's travel journal as her guide, Katie retraces the last few months of her sister's life, and – page by page, country by country – begins to uncover the mystery surrounding her death. My edition: Paperback, published on 6 June 2013 by Tinder Press, 389 pages. 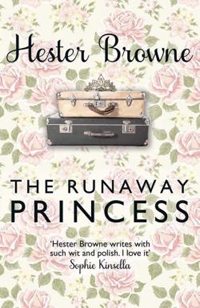 Description: Thea Atwell is fifteen years old in 1930, when, following a scandal for which she has been held responsible, she is 'exiled' from her wealthy and isolated Florida family to a debutante boarding school in the Blue Ridge Mountains of North Carolina. My edition: Paperback, to be published on 18 July 2013 by Quercus, 376 pages. Description: Cass Brooks loves her job, her boyfriend Sean, her life. Until, leaving home one morning, distracted and hungover, she steps into the path of a truck. When she wakes up, she can't walk. And suddenly all her hopes and dreams, the plans she'd made with Sean, the future she thought she'd have, seem out of her reach. But then fate intervenes again. Cass meets Ticket, a loyal golden Labrador who refuses to leave her side. And on a flight to Colorado, she sits next to Charlie, who believes he can show her a life full of possibilities, if only she'll let him. Synopsis: Christopher, fifteen years old, stands beside Mrs Shears' dead dog. It has been speared with a garden fork, it is seven minutes after midnight and Christopher is under suspicion. He records each fact in the book he is writing to solve the mystery of who murdered Wellington. 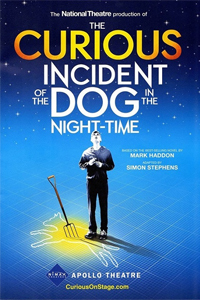 Mark Haddon's The Curious Incident of the Dog in the Night-Time was originally published in 2003. It was the winner of more than seventeen literary awards, including prizes in Japan, Holland and Italy as well as the Whitbread Book of the Year Award in the UK in 2004. My edition: Paperback, to be published on 20 June 2013 by Quercus, 400 pages. Description: Jo has always dreamed of starting her own business, but the arrival of her two gorgeous toddlers has put her ambition on the backburner. Then she hits on a brilliant idea – a kids' clothing shop with a twist – and is thrilled when it really takes off. When husband Lee offers to quit his job to look after the family while her business grows, it seems a godsend – but will their marriage stand the test of reversing their roles? Jo soon recruits Holly and Mel to help her in the shop. Designer Holly's high-flying career has come crashing down and she's moved back home – but is she ready to manage a major family crisis? Meanwhile, Mel worries her teenage daughter Serena is going off the rails. Is finding out more worth risking her daughter's trust? 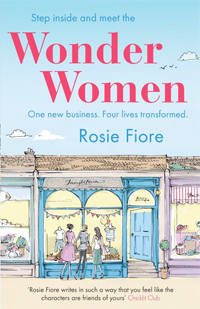 At the crossroads of their lives, friendship could be the only the thing keeping these wonder women strong. This week it's time to highlight the top 10 books on my summer to be read list! I only read The Kite Runner for the first time a few years ago but it was one of the most moving, compelling and heart-breaking books I've ever read. I imagine this new novel by Hosseini will be equally poignant. 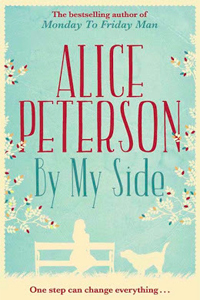 This looks cute and very British - a perfect summer read! This series has gradually become less interesting with each new instalment but I'm still mighty intrigued by the story behind the adults disappearing and this being the final novel it will hopefully shed some light on the mystery. I don't read many bonk busters but when I do it has to be a Rebecca Chance novel. Her characters are fab, over the top and super fun. The first novel in this series was SO GOOD! Can't wait to read what happens to the children now they've left the relative safety of the shopping mall. 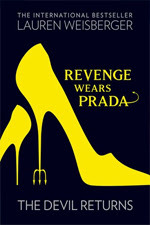 Admittedly it's the The Devil Wears Prada movie I adore more than I do the book, but I cannot wait to read what happens next to Andy and Miranda! 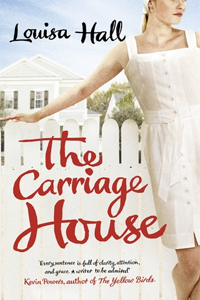 I discovered Carole Matthews' novels last year and she's quickly become a favourite of mine. I particularly loved With Love at Christmas (the PERFECT Christmas read) and I figure that a book about chocolate has got to be great as well, right? I'm a big fan of Colgan's novels but have been so swamped by review books in recent months I've not had a chance yet to read her latest. Can't wait to delve into the world of chocolate and read some of the new recipes that will undoubtedly grace the pages of the novel. I've seen this one around on the blogs and it looks like a fun read. I really enjoy the "club" sub-genre (recent favourites include The Vintage Teacup Club by Vanessa Greene and The Meryl Street Movie Club by Mia March) and this sounds like a very fun take on the idea. 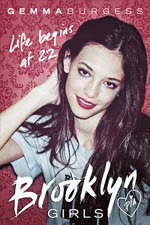 A chick-lit with a beautiful cover, what more could I want? It's quite an eclectic mix of YA, chick-lit and general fiction. Have you guys read any of the books on my list yet? If so, what did you think? And what books are on your list this summer? My edition: Paperback, published on 6 June 2013 by Quercus, 509 pages. Description: Amy Wilde is tired of the idiots her glamorous flatmate Jo tries to set her up with – she'd much rather be landscaping a garden with her dog Badger at her side than trying to find the man of her dreams. That is, until she meets Leo Wolfsburg. Handsome, polite, funny, intriguing – Leo is everything Amy could want in a man. Best of all, the attraction seems mutual. But Leo's lifestyle is a world away from her own. Private planes, charity balls, exclusive members' clubs – Amy begins to realise that her simple existence has been turned upside down. And just where is Leo's home country of Nirona, anyway? Is this all too good to be true? While I've been writing book reviews for years I've only recently become more organised and started publishing on here regularly. 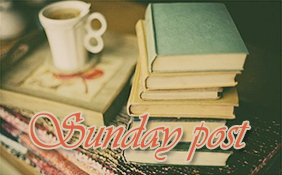 I would love to get to know some fellow book bloggers, so I decided to start participating in Showcase Sunday and Stacking the Shelves; two excellent book blogging memes that allow me to show some of the exciting reads I've received in the mail in the past week. 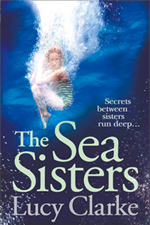 There are some currents in the relationship between sisters that run so dark and so deep, it's better for the people swimming on the surface never to know what's beneath. 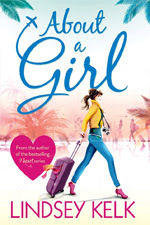 Katie's carefully structured world is shattered by the news that her headstrong younger sister, Mia, has been found dead in Bali - and the police claim it was suicide. With only the entries of Mia's travel journal as her guide, Katie retraces the last few months of her sister's life, and - page by page, country by country - begins to uncover the mystery surrounding her death. What she discovers changes everything. 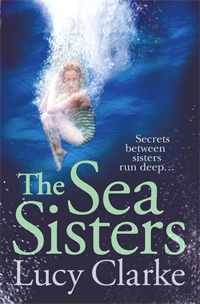 But will her search for the truth push their sisterly bond - and Katie - to breaking point? Cass Brooks loves her job, her boyfriend Sean, her life. Until, leaving home one morning, distracted and hungover, she steps into the path of a truck. When she wakes up, she can't walk. And suddenly all her hopes and dreams, the plans she'd made with Sean, the future she thought she'd have, seem out of her reach. But then fate intervenes again. Cass meets Ticket, a loyal golden Labrador who refuses to leave her side. And on a flight to Colorado, she sits next to Charlie, who believes he can show her a life full of possibilities, if only she'll let him. Cass wants her life back the way it was. Charlie knows this cannot be. Yet a future beckons all the same. 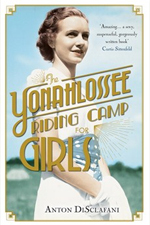 Thea Atwell is fifteen years old in 1930, when, following a scandal for which she has been held responsible, she is 'exiled' from her wealthy and isolated Florida family to a debutante boarding school in the Blue Ridge Mountains of North Carolina. 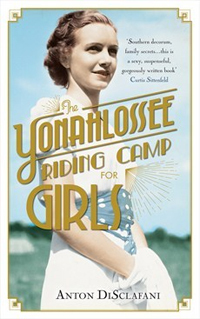 As Thea grapples with the truth about her role in the tragic events of 1929, she finds herself enmeshed in the world of the Yonahlossee Riding Camp, with its complex social strata ordered by money, beauty and equestrienne prowess; where young women are indoctrinated in the importance of 'female education' yet expected to be married by twenty-one; a world so rarified as to be rendered immune (at least on the surface) to the Depression looming at the periphery, all overseen by a young headmaster who has paid a high price for abandoning his own privileged roots. All three novels while wildly different sound right up my alley and I look forward to reading them in the coming week. 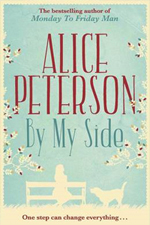 I'm probably most looking forward to By My Side by Alice Peterson because not only does it seem somewhat similar to the beautiful Me Before You by Jojo Moyes, but all the novels I've received from Quercus recently have been wonderful and this one sounds like another winner. My edition: Paperback (uncorrected bound manuscript proof), to be published on 18 July 2013 by Orion, 432 pages. Description: On 31st December 1999, ten-year-old Amy Archer went missing from her local playground. Her body was never found and the lives of her parents, Beth and Brian, were torn apart. On the tenth anniversary of the disappearance, Beth is alone, still struggling with the enormity of her grief and the horror of not knowing the fate of her only child. 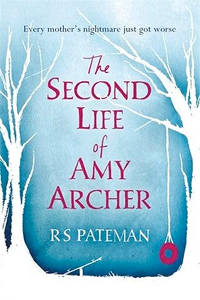 But the fear and confusion have only just begun, and Beth's world is turned upside down when a stranger knocks on her door, claiming to know what happened to Amy. Now Beth is forced to question everything she has ever believed in, and push her faith and her sanity to the limits, if she is to find out the truth about what happened to Amy. My edition: Paperback, to be published on 6 June 2013 by Quercus, 348 pages. 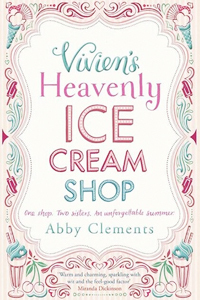 Description: When Imogen and Anna unexpectedly inherit their grandmother Vivien's ice cream parlour, it turns both their lives upside down. The Brighton shop is a seafront institution, but though it's big on retro charm it's critically low on customers. If the sisters don't turn things around quickly, their grandmother's legacy will disappear forever. While Imogen watches the shop and conjures new marketing ideas, her sister flies to Italy to attend a gourmet ice cream-making course. But can their best-laid plans survive their warring family, tempestuous love lives - and the great British weather? One thing is for certain - this summer will be like no other . . .